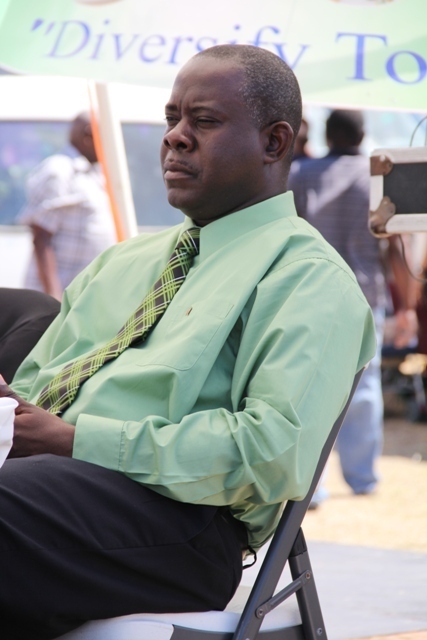 Minister of Agriculture, Fisheries and Cooperatives in the Nevis Island Administration the Honourable E. Robelto Hector. NIA-CHARLESTOWN, NEVIS (April 11TH, 2011) — The phrase “Agriculture is everyone’s business” proved true on Mar. 24 and 25 when hundreds of Nevisians gathered at the Villa Grounds in Charlestown to witness the 17th annual Agriculture Open Day. Among the issues highlighted by Minister of Agriculture, Fisheries and Cooperatives, the Honourable E. Robelto Hector, were the increased establishment of cooperatives and the major improvements in Nevis’ agricultural sector. “The major improvements in agriculture,” as explained by Minister Hector, included considerable investment in the fisheries sector. With plans in place for the construction of the Charlestown Fisheries Complex, the agriculture official recorded his gratitude to the businesses and organisations that had been instrumental in the planning stage. The value added products, he explained, “can take us beyond that frontier of the export market”: an issue he addressed with passion. The project is jointly funded by the Nevis Island Administration [NIA] and the Japanese International Cooperative Agency [JICA]. The incentives, he said, included “farm inputs; water for irrigation; animal feed; seeds and seedlings; fencing wire; fishing gears; land preparation; and abattoir, extension and veterinary services. His ministry’s capital budget, Minister Hector said, “reflects considerable spending in a number of areas.” The areas mentioned included the lethal yellowing, animal control and cotton development programmes; the purchase of a mulcher; the small farm equipment home; and the upgrades on the public market, extension service and marketing unit. While the lethal yellowing programme was initiated to “save the coconut industry,” almost $1 million was spent on agro-processing, Minister Hector said.